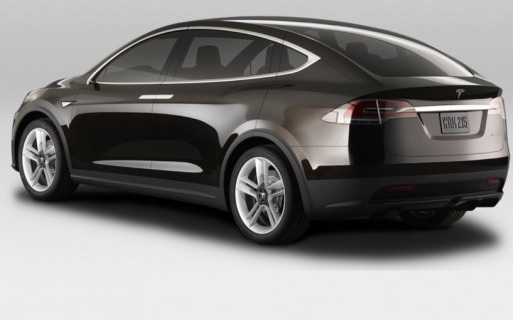 The Model X is a model of car bought to us by Tesla the American electric car giant. The Model X went into production in 2014 with expected deliveries in 2015, the company is expecting to sell between 10,000 to 15,000 of these vehicles a year. When bringing this car to market Tesla came up with the idea of having no side mirrors, instead they mounted small cameras around the car whereby you would see the images from your center console. However in 2014 the car didn't pass the US safety regulations so Tesla replaced them with mirrors. The Model X is a Crossover utility vehicle. Aimed to compete against the likes of Land Rovers, Range Rover and the BMW X5 series. As with all Tesla vehicles this will be 100% pure electric, which will be a challenge for the company to compete against the British and German manufacturers. The Model X will weigh about 10% more than their flagship vehicle the Model S and will contain around 60% of the parts from the Model S. Within the specifications for the Model X there will be a choice of power packs with the lithium-iron batteries, rated at 60 or 85 KWh. This is the same choices which are available for the model S. The range is expected to be between 200-270 miles on a full charge. We also expect the performance to be similar to the Model S, with acceleration 0 to 60 mph in around 4.3 seconds. This performance from the Model X will outperform many sports cars including the BMW M3. The Model X will also feature Tesla's all-wheel drive system, with the use of two electric motors which will give it an all-terrain drive mode. Something that will stand out and is unique this type of vehicle is the hinged gliding doors, marketed by Tesla as Falcon Doors. These doors open upward allowing the leading edge of the door to be close to the car, these doors are definitely passenger friendly. The Model X is designed to sit seven adults and their luggage comfortably, and will also offer a tow-bar, making the vehicle suitable for pulling caravans and trailers. The Model X also features all of the other mod cons that you get in the Model S, from battery charge monitoring, range and performance monitoring, on-board touchscreen with internet access a much more. The Model X is expected to cost around 10% more than the Model S, which should see it come in at around £55,000 for a base model.